What’s Happening To Inbound Marketing “MPG”? Inbound marketing has a couple of big problems. By that I mean many well-intentioned companies especially those that are just starting their own inbound marketing program are facing two considerable issues. The first is a common one and that is unrealistic expectations like namely the amount of time and resource necessary to sustain and power an inbound program into a true conversion machine. Getting started is hard. Staying with it just like any good habit is even harder and for inbound that means generating good content and lots of it, day in and day out. Secondly, the “per unit energy” of online content is going down in a manner of speaking. 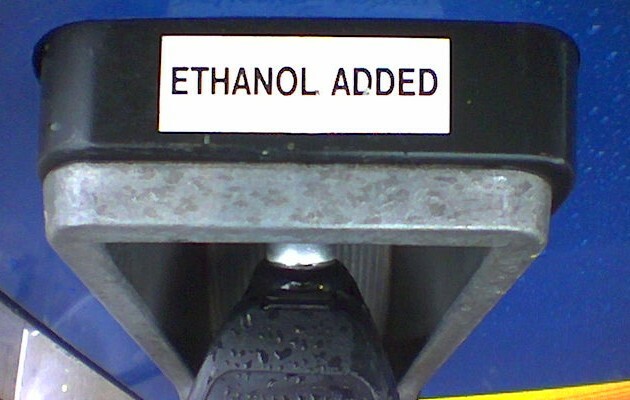 Content is the primary fuel that powers an inbound program and like what happened when our gov’t mandated the addition of ethanol to our gasoline, suddenly it took more fuel to go the same distance; ethanol just doesn’t have the same energy content and punch. So what in the world does this have to do with inbound you ask? Let’s put this in the context of the marketplace. Of course it’s competitive and not everyone is at the same stage in their marketing efforts. If you were one of the businesses that jumped on inbound early like back in 2009, consider yourself not just visionary but also lucky. That was like buying Apple stock when it was cheap. Just five years ago online content volume was a fraction of what it is today and there were fewer competitors vying for inbound dominance. If you got started early it’s likely you’re in the lead and may well have locked it in; late starters will have to mount an extraordinary effort to just get in the race much less take away the lead. So what’s a marketer to do? Bail? Hit the silk? Take the off ramp? No. Inbound is a vital tool and practice for all but the rarest of businesses. Instead, do like a good financial planner and have a balanced portfolio. A healthy mix of elements in a marketing program that integrate the best of both outbound and inbound by weaving them into an effective conversion process is just smart. Yes by all means have a polished brand, perfected positioning and well crafted content that caters to the needs of your audience and then use them wisely. As an example, instead of just posting up a best practices on say, farm tractor maintenance and hoping a few people will find it on your optimized, dynamic website, promote it with outbound like an email or direct mail with a link that takes them to a landing page with a portion of your post shown. Then for the entire article in PDF, have a conversion form to collect basic info on new prospects or to update/track activity from current customers, which then goes into a CRM or MAS. Or, perhaps look over the marketing calendar and strategically time the release of new content around any number of traditional marketing elements like a new product intro, trade show, newsletter or branding initiative and coordinate them so they support one another for greater effect (synergy). This entry was posted in Integrated Marketing and tagged B2B marketing best practices, Content marketing issues, Inbound issues, Inbound marketing, Inbound marketing issues, Integrated marketing, Internet Marketing, Mark Schaefer, Marketing best practices. Bookmark the permalink.